For Mucus Coughs. Non Drowsy. 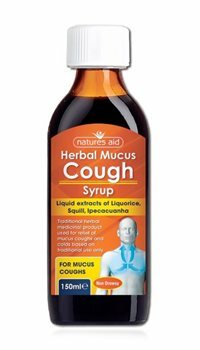 Traditional herbal medicinal product used for relief of mucus coughs and colds based on traditional use only. 0.007ml liquid extract Ipecacuanha root, 0.125ml liquid extract Liquorice root, 0.26ml liquid extract Indian Squill Bulb. Each 5ml of syrup contains 2.3g of sucrose and 0.19ml of ethanol (Alcohol). See label for full list. Take 2 x 5ml spoonfuls every 4 hours if required but not more than 4 doses (40ml) in any 24 hours. Do not take this medicine if you: are an alcoholi; have breathing difficulties; have raised pressure in your head; have heart, liver or kidney problems; are allergic to anything in this medicine; are pregnant or breastfeeding.